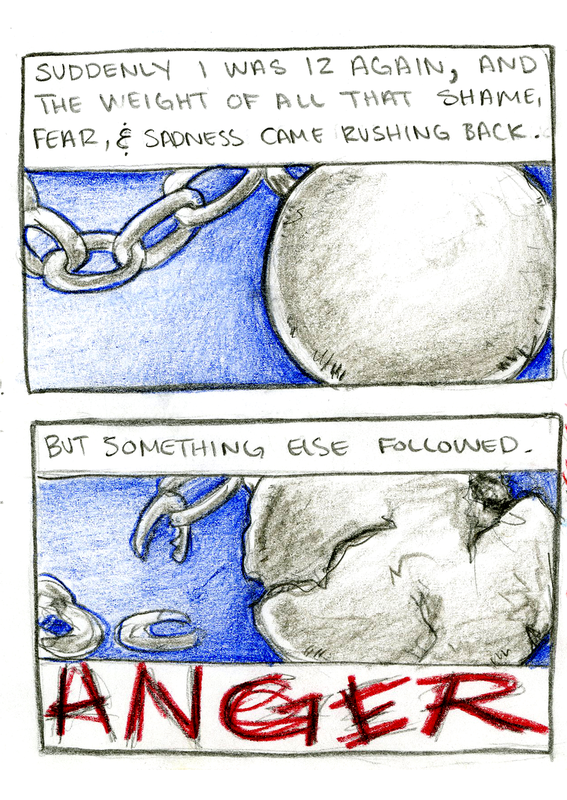 Grab Back is a short 8-page origami-folded comic that tells the story of my first sexual assault, and how the news surrounding Donald Trump’s election has impacted me as a survivor of sexual abuse. As a personal narrative, the work is designed to be small and intimate, drawing a connection to the reader as I share a painful memory from my past. I chose to work in stylized colored pencil and graphite, to evoke a more child-like and loose style. I wanted the work to be approachable and the art style to seem innocent to contrast the narrative it tells. I tried to use gesture and contour to convey anger, sadness, and movement. I decided to end the book with the number to the sexual assault national hotline, in hopes that other victims of abuse can find help and solidarity. This election has been tumultuous and extremely triggering as a victim of sexual assault. This comic was cathartic to make and my goal in creating it was to raise awareness and help other survivors cope. This work was included in the zine "State of the Union" published May of 2017. 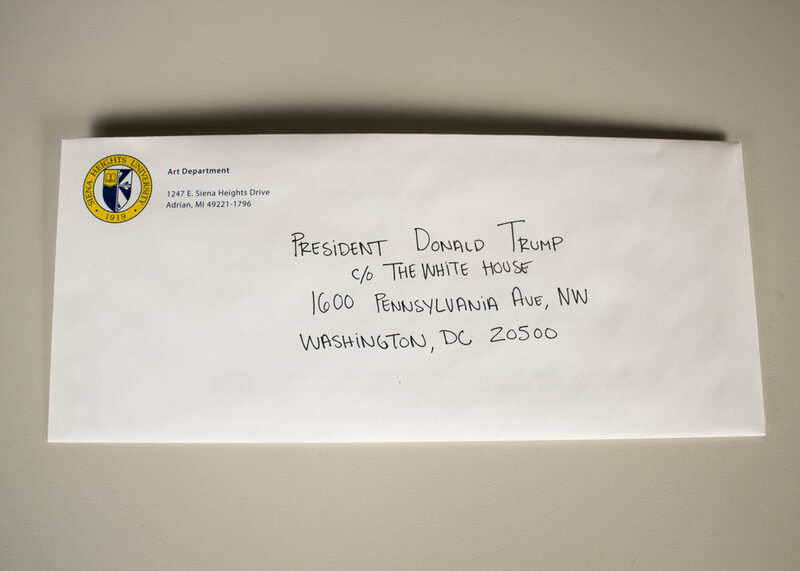 This piece also appeared in the digital zine "Terps Trump Hate" published March 2017, and was exhibited as part of the project "In Care Of", a collection of artworks that were made in response to Donald Trump's election, and mailed to the White House. HuffPost published an article about this collection of work, and discussed "Grab Back" as a part of that story.